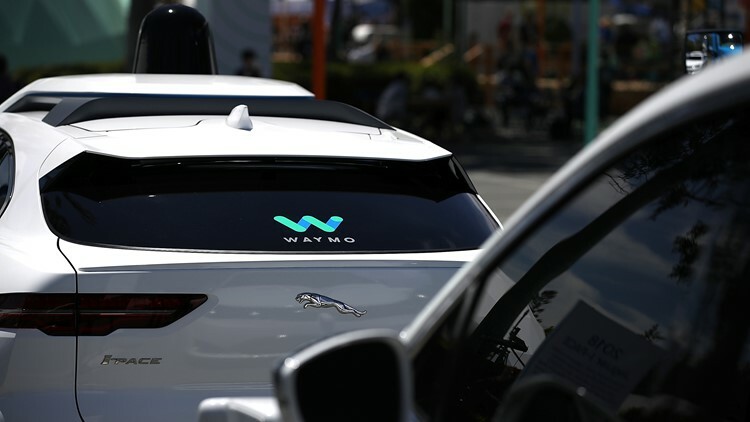 Waymo self-driving vehicles are displayed at the Google I/O 2018 Conference at Shoreline Amphitheater on May 8, 2018 in Mountain View, California. Gov. Doug Ducey signed an executive order Thursday establishing the newly created Institute for Automated Mobility. PHOENIX (AP) - Arizona will be home to a sprawling facility for researching the safety of self-driving cars, cementing the state's determination to invest in the technology. Ducey said in a statement the hub will work to advance technology, safety and policy. Multiple state agencies, Arizona's three major public universities and Intel are partnering on the project. The institute will include a simulation lab to test various road scenarios. Safety has been a lingering issue after a self-driving Uber SUV struck and killed a pedestrian in Metro Phoenix in March. Uber later ceased testing the cars in Arizona but has since relaunched efforts elsewhere. Similar companies such as Waymo are also doing test drives in Arizona.